It is a week since the outbreak began in New York. The government has collapsed. The president has been betrayed. The vice-president is dead. The conspirators are close to victory. Having narrowly escaped agents of the cabal, Tom Clemens heads to Washington, hoping to get word of the conspiracy to the president. The highways become impassable, filled with millions fleeing from the cities. Towns are fortified, but it is too late. The infection has already spread throughout the country. Nowhere is safe from the undead. 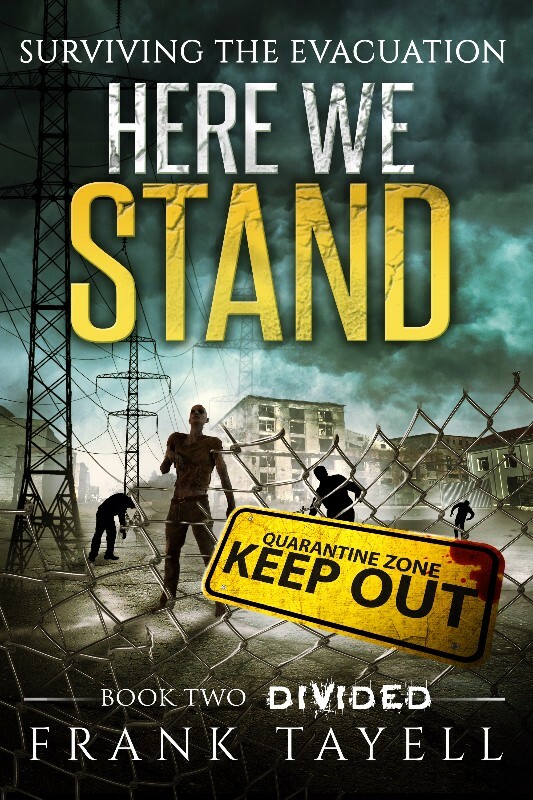 As refugees storm the towns, and zombies fill their smoking ruins, survivors become more deadly a threat than the impossibly living dead. Still hopeful he can find the cause of the outbreak, and so end it, Tom fights his way through an undead America. As he searches for the cabal, he is unaware that they are searching for him. The story of Tom Clemens / Sholto continues in Surviving The Evacuation: Book 1: London. That of the survivors in North America will continue in Here We Stand 3: Betrayed. All being well, this will be released at the end of this week (so available for purchase next weekend). Here We Stand 1 & 2 introduce the heroes and villains, survivors and victims of the North American saga. I won't say which is which, but clues as to their identity abound in Book 8: Anglesey (coming soon). Audiobooks - Book 5 is currently being recorded. I should get it for proofing during the first week of July. Strike a Match 3 - I'm working on this concurrently with Book 8 (writing one when I get stuck on the other.) I'm trying something slightly different with this book. Rather than investigating one massive crime, I'm taking a Casebook approach, writing about a series of non-connected crimes (the kind that a police officer might routinely come across). During the long stake-outs, and in interviews with the victims and suspects, we'll discover more about The Blackout, and those responsible. Set in the Midlands (Leicester, Sherwood Forest & Northallerton), Kent, and Twynham, I'm aiming to release this and Book 8 before the end of the year.